Recently, Ancel Glink attorneys Julie Tappendorf and Dan Bolin were interviewed by GovLove for a podcast called "Local Government Law: Are You Tweeting Into Trouble?" In the podcast, Julie and Dan discuss some of the common legal issues with government use of social media, including First Amendment, copyright, and employee use of social media. You can check out this podcast on GovLove's page on ELGL's website here. 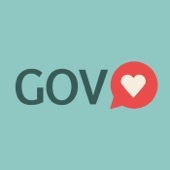 GovLove is a podcast hosted by Engaging Local Government Leaders (ELGL), where ELGL members interview people who work in local government to learn more about what they do and to explore various issues that impact local government.